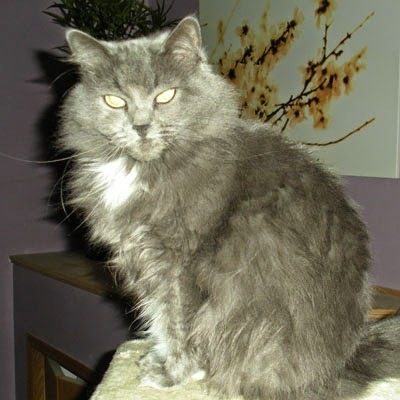 Catladyland: Cats are Funny: Maddie's Pet Adoption Days Hopes to "Empty Out the Shelters"
Maddie's Pet Adoption Days Hopes to "Empty Out the Shelters"
What better goal than to empty shelters and find loving forever homes for 10,000 dogs and cats? Well, Maddie's Pet Adoption Days is setting out to do just that. On May 31 and June 1, 200 organizations in nine states will participate. 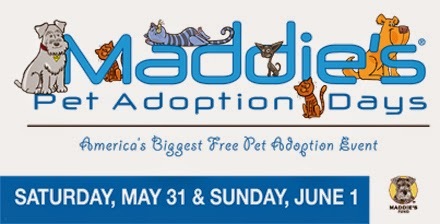 The largest event will take place in New York City, where Maddie's Pet Adoption Days is sponsored by Mayor's Alliance for NYC's Animals (Union Square: May 31, Union Square Park : June 1). Guess what? The adoption fee is free. That's right -- there is no charge to adopt a pet during Maddie's Pet Adoption Days; however, only well-qualified individuals may adopt. Adoption standards are the same as any other day of the year. And each dog and cat are vaccinated and spayed or neutered. Maddie's Fund is a California-based, family foundation, established in 1999 to help the creation of a no-kill nation. 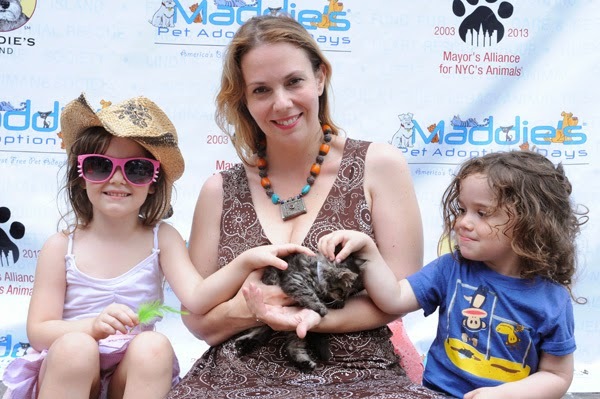 In 2013, Maddie's Fund Adoption Weekend, over 3-thousand dogs and 5-thousand cats were adopted nationwide! Over 50-percent of those who adopted said the waived fee was a motivation to adopt. 33-percent of the adopters indicated it was the first time they'd adopted from a shelter or rescue organization. Coming out of last year's event, 99-percent said they'd recommend adopting from a shelter or rescue to family, friends and co-workers. We adopted our Saffy from Animal Humane Society 13 years ago. We didn't care about a specific breed and knew shelters are usually good about being upfront with information about a pet's personality. 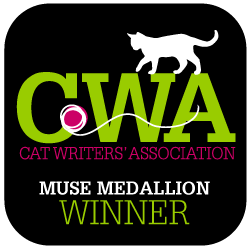 We also wanted to adopt an adult cat, and knew they are often overlooked in favor of kittens. Saffy was a little over a year old. When we petted Saffy at the shelter, she immediately started purring, and I don't think she's stopped. I know she was lucky to find a home that day, but we were even luckier because she's brought such joy to our family. A kitten finds a forever home during last year's event. In addition to shelters knowing about pets' personalities, there are other benefits of shelter adoptions, including the reduction in demand of puppy mills and backyard breeders, access to a wide range of purebreds and mixes, and shelter pets are already vaccinated, spayed or neutered, and often microchipped. Click here for NYC adoption events. Click here for events outside NYC. And please help spread the word! Together, we can help shelter animals find loving, forever homes! This post is sponsored by the Mayor's Alliance for NYC's Animals. I am being compensated for helping spread the word about the benefits and joys of pet ownership, and the upcoming adoption event. All opinions are my own.